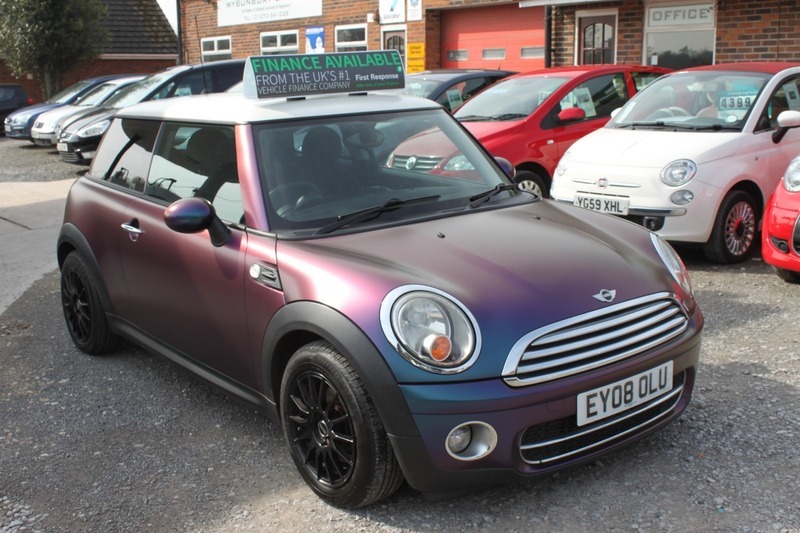 Amazing Mini COOPER D 2008 - Simply Stunning ONE OFF Mini Cooper Diesel - Limited Edition Car Vinyl Wrapped - FSH - Cheap To Run & Tax. We have this fantastic looking & driving Mini in stock, a real head turner in every sense, the car has been professionally wrapped (at a cost of over £1600) and it looks simply stunning you really have to see it to believe it. The car has had a brand new set of alloy wheels (£600) and tyres only 6 months ago so they also are in fantastic condition. All this and coupled with very low running costs with it achieving over 72 mpg and £20 road tax could it get any better. Hurry as this one is going to go quick.